With our new young, dynamic team of skilled hotel and restaurant professionals and skilled chefs we welcome you in a cozy, rustic Atmosphere. 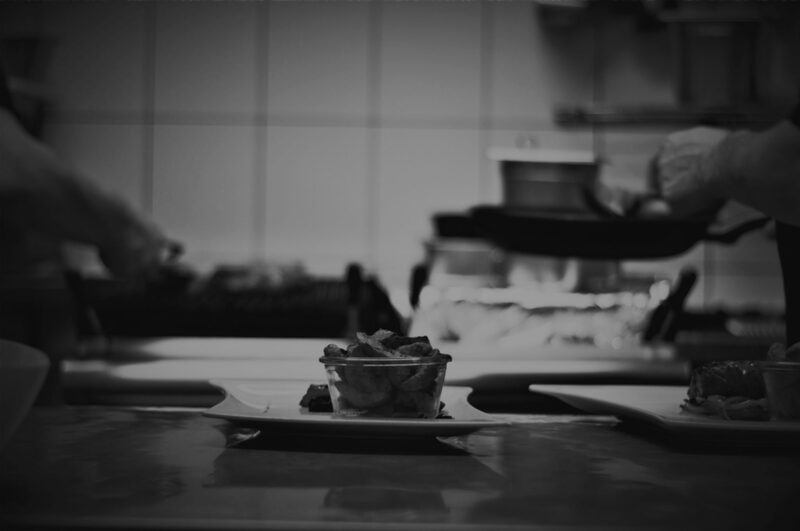 Our team will inspire you with professional correct service procedures, recommendations for food and wine, as well as the traditional homemade specialties of the Argentine Steak dishes. Ask us for advice – we will advise you. It is important to us to prove you that quality in service and cuisine isn’t a question of money and also families with smaller budgets can have a wonderful, affordable evening in Berlin – with enjoyment and passion for Steak enjoyment! 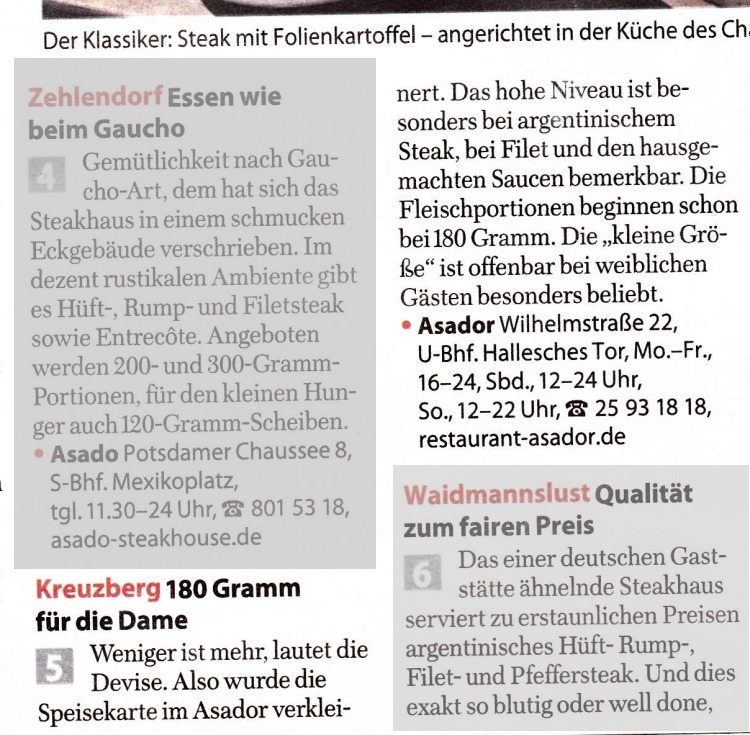 In February 2012, we and 9 other restaurants have been elected to the top ten Steakhouses in Berlin. This award attests, the freshness and quality of our products used for cooking. local newspaper Berliner Morgenpost on Saturday the 2/25/2012.